Eva Kahana teaches courses in Stress, Health and Coping, Sociology of Institutional Care, and Sociology of Mental Illness. She has been engaged in a program of research related to understanding how older adults cope with a broad spectrum of stressors ranging from increasing frailty to relocation, institutionalization and surviving trauma in their lives. She has worked on a series of NIA funded studies focusing on proactive adaptations undertaken by older adults as they face stressful life situations. Based on these studies she has delineated models of successful aging. Her recent work has also focused on health care of older adults and the health care relationships forged between patients, physicians and family caregivers. Eva Kahana directs the Elderly Care Research Center and enjoys both mentoring of students in research and developing innovative models relevant to aging and medical sociology. 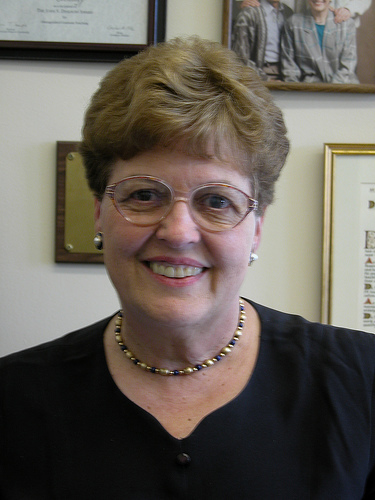 She also serves as director of the Gerontological Studies minor and co-major. Throughout my career, I pursued an applied program of research aimed at contributing to improved quality-of-life for older adults and focused on conceptualizing and operationalizing older people in a context–i.e. how person-environment transactions explain late life well-being and quality of life. My early work tried to understand the effects of supra-personal aspects of the environment, i.e. age segregation on elderly psychiatric patients. Later I recognized that exclusive focus on the environment is simplistic, and developed a model of person-environment congruence which acknowledges both individual differences and aspects of physical and social environment as acting together to effect late life well-being. Those research efforts resulted in some exciting applications. Programs of “matching environments to needs of the aged” based on this model were implemented at St. Elizabeth’s Hospital in Washington, D.C. In one of my studies focusing on the context of institutional care, I began exploring the congruence and divergence in staff and self-conception of the aged. I found that staff view elderly patients as management problems, while even frail elderly see themselves in terms of prior social roles. This research resulted in implementing an intervention in several nursing homes where information about self-conceptions of residents was placed on their chart. Even while focusing on stresses of institutional life, I have been impressed by adaptive skills and residence of even frail elders. I began to realize that we must learn more about the ways that older persons maintain and enhance quality-of-life even in the face of normative stresses of aging. Thus began a program of research concerned with older adults who do not fit stereotypes of aging and who can help define elements of successful aging. I believe that focusing on such adaptive skill can help in developing systematic guidelines for proactive policy away from dependency models and in the direction of preventive services for older adults. In a series of studies along with my colleagues, I explored service needs and preferences of community living aged with Boaz Kahana, helping and altruism among the elderly with Elizabeth Midlarsky, coping with heart attacks and caregiving in late life (with Rosalie Young), and coping with chronic stress in the aftermath of the Nazi Holocaust (with Boaz Kahana and Zev Harel). Each of these studies has led to a better understanding of successful coping strategies among older adults and efforts to create meaning in their lives. The major thrust of my work during the past ten years has been on adventurous old people who relocated to the Sun Belt late in life. In the framework of a MERIT award study, I have focused on adaptation to frailty among 1,000 healthy old-old persons living in a Florida retirement community. Additional funded projects permitted extensions of this work to urban and minority elderly, as well as the study of cancer prevention and care. This work has culminated in the development of a model of successful aging based on preventive and corrective proactivity. Empirical tests of this model are now under way. This model also provides practitioners and policy makers with useful information on health promotion activities, environmental modifications, and marshalling support by elders. I am now working on translating this information into guidelines for health care partnerships involving the older adult, their caregiver and primary care provider which can enhance health care partnerships, recognizing proactivity of elders in the 21st century. This work will also be integrated into my recent forms of medical care and nursing practice models in our changing climate of managed care. In recent years, I have worked in close collaboration with the CWRU Medical School and School of Nursing and worked on integrating training of sociology graduate students in health research and aging with professional initiatives in health sciences. I am currently faculty mentor to three junior faculty career development awardees in the medical school under the sponsorship of the National Cancer Institute. I have also been co-investigator on a project in the School of Nursing on changing nursing practice models in acute and chronic care. Social Organization of health care institutions; late life sequelae of social stress; coping and adaptation among the elderly; environmental influences on aging individuals; institutionalization; migration; intergenerational family relationships; medical sociology; health care partnerships; self-care, health care communication; cancer prevention and care. Sociology of Aging; Medical Sociology; Family; Human Development; Research Methods; Social Problems; Social Psychology; Sociology of Health Care Institutions; Social Factors in Stress and Coping; Social Research in Health Care Settings; Sociology of Mental Health. Outstanding Journal Special Issue in Applied Communication for Advancing Consumer/Provider Health Communication Research in Patient Education and Counseling, Volume 50, Issue 1, 2003. Awarded for significant contribution to scholarship in applied communication theory, research, and practice, Applied Communication Division, National Communication Association. Holocaust Survivor of Achievement, featured in 60th Anniversary of the Holocaust Commemorative Issue for the State of Ohio, April 2005.